I confess, I know very little ablout Queen Victoria. Henry VIII and Queen Elizabeth are more my time period. 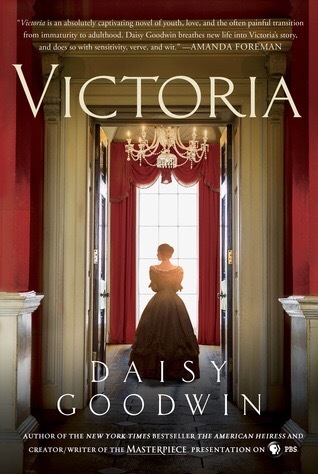 So, when I started this read I, of course, had to do a little research on Queen Victoria. I love a book which teaches me something! Queen Victoria was only 18 years old when she took the crown. This was a tumultuous time for her, her family and her country. Can you imagine? 18 years old and ruling a country. Some thought she could not do it. Some thought she needed a reagent to help her rule. She was very much a sheltered child. She had a lot to learn about life in general as well as how to rule a nation. With the help of Lord Melbourne, she tackles these tasks with strength and gusto. She was determined to do her very best despite some very serious challenges from areas of her family. Most of this book covers her Reign from the beginning to when she is married. I would have loved more of her later years and less about balls and other trivial matters. I also had some trouble with bits of the conversations. Especially the conversations between Queen Victoria and her mother. They were overly dramatic and stilted. This does not take away from the read. It is still a well researched, classic, historical tale which leaves the reader wanting more. This entry was posted in Reviews and tagged komdle, nook, reviews. Bookmark the permalink.